Beauty, elegance and sass all in one! Blue-green turquoise from the Kingman mine in Arizona is beautifully offset by the pristine purity of peridot, a stone that symbolizes prosperity, growth and openness. 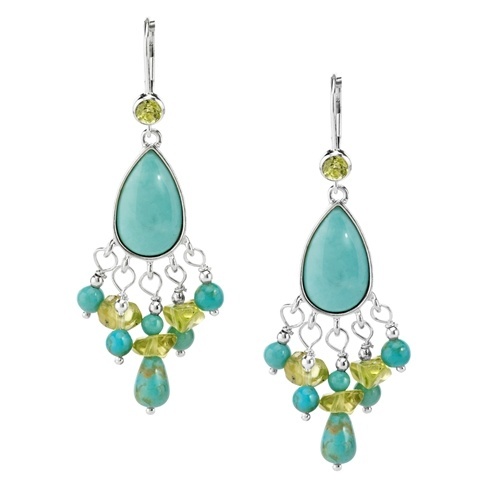 Turquoise and peridot dangle from a blue-green turquoise cabochon with a delicate matrix in gleaming Sterling Silver. Earrings have Sterling Silver leverback and measure .